The senator representing Borno South, Ali Ndume has accused Peoples Democratic Party of introducing vote buying in Nigeria. He said that the opposition party is the master of vote buying and that its presidential candidate, Alhaji Atiku Abubakar, emerged through vote buying. 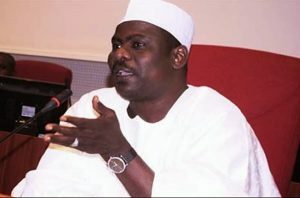 Ndume was reacting to the allegation that the President Muhammadu Buhjari-led administration was using its Special Investment Programmes, including TradeMoni, to buy the electorate over.